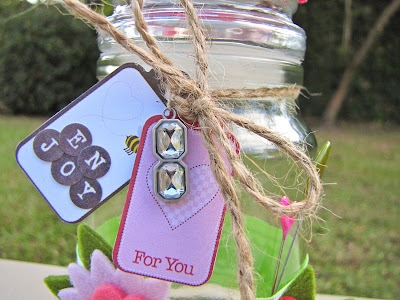 Today I am in charge of of the day's post at Practical Scrappers, and for that post I have created a very quick gift jar. I love gift jars, as you can have them ready and then fill according to need: chocolate, candy, tea bags, a little sewing kit, some crafts supplies, anything could go in and make a lovely little gift. Here is a sneak peek, and for the full view of the project, you can click HERE. 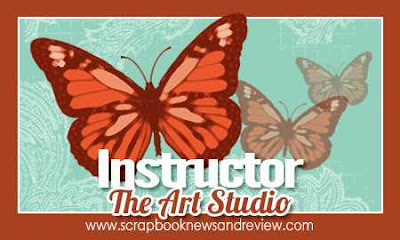 I am also very happy to announce I will be an instructor for Scrapbook News and Review's Art Studio. There is not much I can tell you yet, but it is going to be amazing and I am so excited to be part of this new adventure!!! There will be fabulous classes and if you could have a look at the class list I am sure you would want to enroll in some of them right now. Just get ready, the fun will begin soon! Wow! Great news! Congrats! I love your jar too!